Rough green snake is a non-venomous North American colubrid. It is sometimes called grass snake or green grass snake. 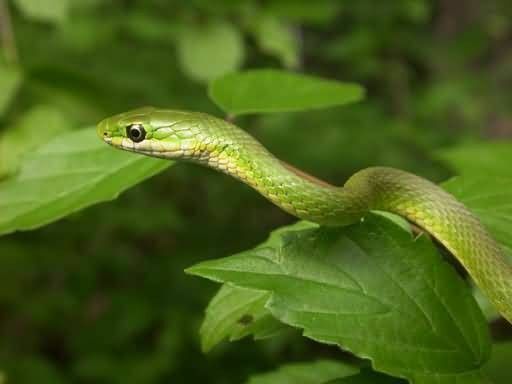 The rough green snake is docile, often allowing close approach by humans and rarely bites. The rough green snake is bright green above and has a yellowish belly. It grows up to 116 cm in total length and is very thin. Its diet consists mostly of insects, arthropods but some snails and tree frogs are eaten as well. Predators of the rough green snake include birds and other snakes.